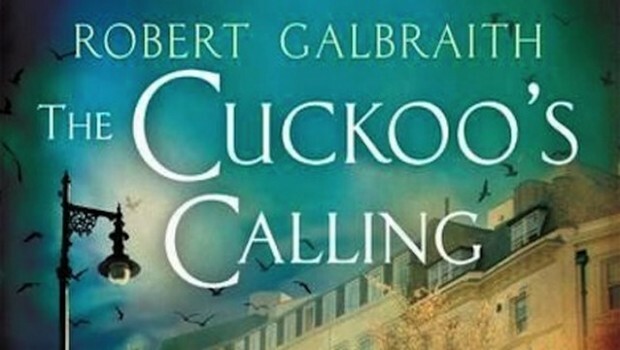 Did you know that J.K. Rowling has written a private investigator series under a pseudonym? You did? Yeah, well, everyone did but me. Anyway, I am currently reading the first book - The Cuckoo's Calling and also hoping that I'll be about to find the BBC mini-series online somewhere so I can watch it when I've finished the book. It's really good and quite satisfying and not quite as dark as my very favorite "troubled PI" series - the Jackson Brodie books by Kate Atkinson. Quick Book Club Update: I am about halfway through our book club pick: We are Never Meeting in Real Life by Samantha Irby. Is anyone reading it? I started a convo on our Facebook page or you can leave a comment here! 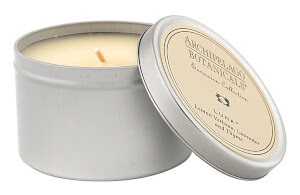 My sweet friend Ashley sent me a box of birthday gifts and among them was this Archipelago Luna candle. The notes are a blend of lemon verbena, lavender and thyme and it makes my whole apartment smell like a warm spring day. I SWEAR IT DOES! It's refreshingly herby and soft without being cloying and smells just like springtime is coming. I'm REAL over winter, so this is excellent news. My feet are suuuuuper terbs right now. They look really bad and I hate winter because this is what happens - my skin goes all lizardy and I am a giant sad husk standing on sad callused husks. (I should just quit my job like DD-L, I guess.) Kiehls moisturizer is keeping my face from cracking off but my feet are gross and it might be Shiny Foot time. (Except, yoga? I cannot go into yoga shedding my foot skin like that.) In the meantime, I've taken to slathering my gross hooves with this Curel stuff and then putting on some of those aloe socks which (Marianne, cover your ears) feel a bit slimy to me but really seem to be helping. Ooh, also! 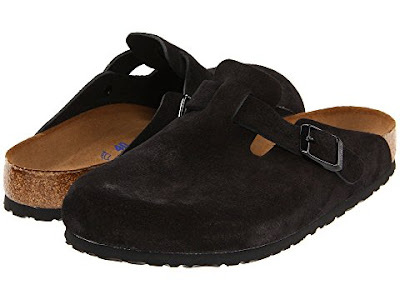 After buying and returning All The Birks I finally settled on these Birkenstock clogs to be my indoor/outdoor slippers. Hooray! More on that dumb process soon. I'm reading the book on your recommendation. I'm mostly enjoying it! That's fair, I just get a little eye-rolling about it because, well, he's a movie star. He's certainly a good one (mostly) but it just seems so over-the-top and also, it's easy to just retire when your job pays you millions of dollars. I want to hear what you think of the book so far! There are definitely some things I don't like about it, so I'm curious to know the good and bad. My husband has kept a pair of Birk Bostons as his "house shoes" for going on 15 years. They're only for indoors, although they have taken out the trash in dry weather a few times. Also, they give you options sock-wise for different temperatures and will last forever. This is gonna be weird, but I too really have a hard time with peeling, sad, dry feet that are just so gross every winter. The podiatrist I saw once recommended Flexitol Heel Balm - I slather liberally and then put on socks inside out, overnight. So much relief and while a very old-lady-ish type product, hands down better than anything else I've ever tried. Thank you! I am down with old-lady-ish products. I couldn't get through the D DL article. Just quit! No need to torture everyone over it. Will see that movie, tho. 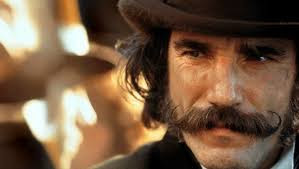 From what I've read, it sounds to me like Daniel Day-Lewis is suffering from depression. So I have alot of compassion for him. And I don't have less compassion for him because he's rich and famous. That did occur to me but just based on the article, it sounded like it was directly related to method acting, which seemed kind of absurd to me. But, if he’s truly depressed, then I’m glad he’s taking care of himself and hopefully getting help. Maybe slimy was the wrong word? Flabby. They’re flabby. I've really enjoyed all of the Robert Galbraith books! Really satisfying! I LOVE the Cormoran Strike series. She isn't writing them fast enoguh for me. I too need to seek out the new tv series based on the books. I listened to Samantha's book and enjoyed it. But some parts of it were a bit weird.